Unlike many other VPN service providers that are not skilled enough to deliver the internet users what they promise for, alivevpn is a complete exception to the lot with their amazing offers and their skill in implementing these offers. alivevpn with its pptp USA 3 months package is developed for those users who like to get US IP address or possess as American users while browsing to certain websites. There are some countries like Iran, China, United Arab Emirates along with some other middle eastern countries where Internet usage based regulation is highly stricted. If you are living into those respective countries, then it is not possible to get into most of the US oriented email or search engine or profile based websites or networks. You know how useful search engine Google, but you may not be able to use it due to countrys terms and law. So, the only thing you can try is to create a window for your IP address by which you can access into that particular websites server, and not getting caught by the authority. 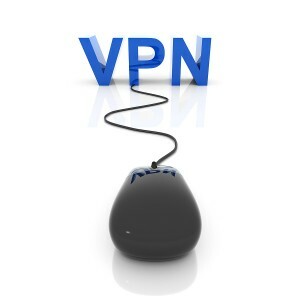 If you also like to use VoIP or p2p calling system via Internet connection, you can try with this VPN package as it will bypass the blockage smoothly. So Skype or any other related programs can easily activate with this amazing feature. This offer is provided with Shared IP and Shared IP static system which allows users to have random IP address for a particular location or an individual IP address for a specific area to help you out from online fruading. The internet traffics have been encrypted with PPTP protcol system provides a strong encryption system over the transfer of data files. The traffic of VPN will be masked as it will be looking like as usual internet traffic which is not the real thing; therefore, unnecessary attraction can easily be avoided. The supporting system is pretty much regular as it can operate with one of the major operating systems Windows. You can use to any of your computing device where the windows operating system can run. It will definitely offer you great flexibility in terms of online privacy and great accessbility from anywhere, anyplace. The price has set for every 3 months, and currently it needs to be paid for about 25$. With such standard facilties, it is worthy enough to try for a single time.